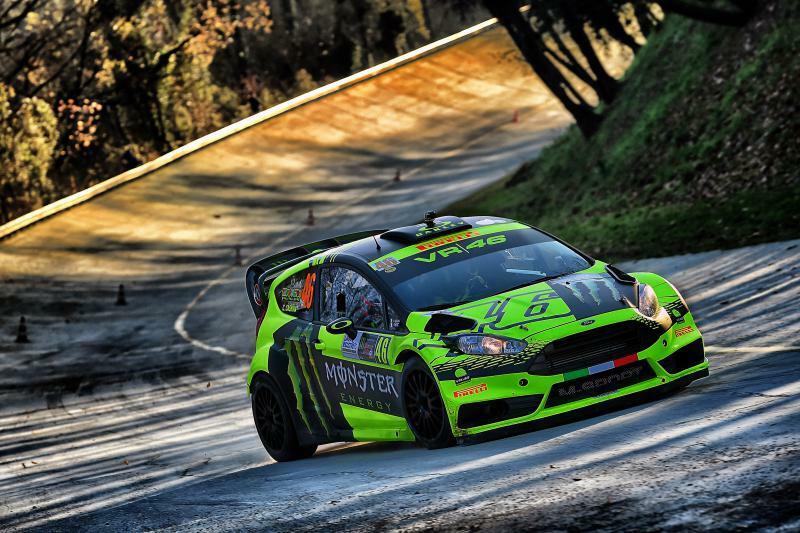 Valentino Rossi has taken his fourth win at the Monza Rally Show, taking the victory by an impressive 50 seconds from World Rally Championship regular Thierry Neuville. Leading by half a minute going into today’s final stages, the nine-time MotoGP champion never looked in doubt as he extended his lead over the Belgian factory Hyundai driver to take his fourth win at the event. Something of an end-of-season holiday for the Italian, he was joined on track not only by regular co-driver Carlo Cassina but also by right hand man Uccio Salucci, who finished fifth, and Moto3 race winner Romano Fenati, who was 69th on his car-racing debut. The event, held on the circuit, old banking, and parklands of Italy’s historic Monza circuit, is a prestigious event in the car world, with past winners including nine-time WRC champion Sebastian Loeb and F1 race winner Robert Kubica.